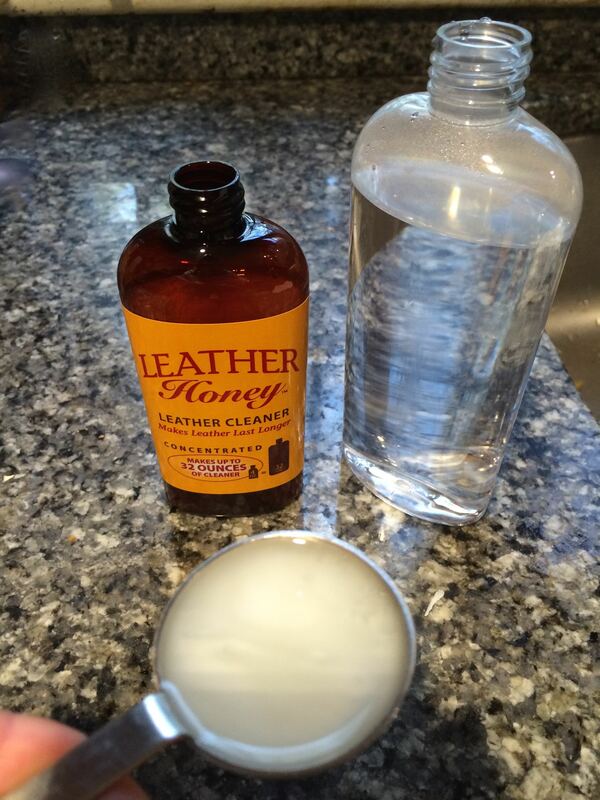 The folks at Leather Honey were kind enough to send me a sample of their leather cleaner and conditioner. 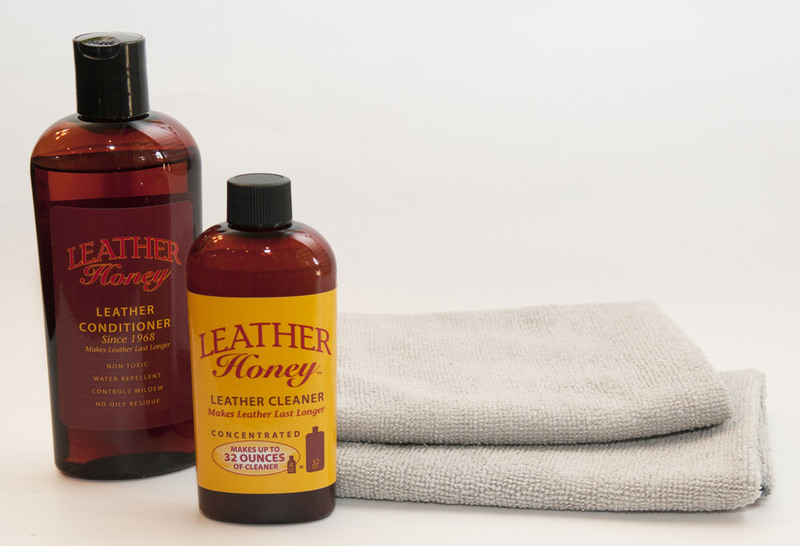 Leather Honey is made by a family-owned US company who launched the all-natural conditioning product in 1968. They take pride in offering a chemical-free product because they are concerned that adding toxins to leather care products can put users at risk for developing irritations or illness. After all, most leather products come in contact with your skin (or your horse’s). I’d heard of the conditioner but the leather cleaner is a new product. The cleaner is concentrated. Dilute 2 tablespoons into 8 oz of water. I then decanted half of the mixture into a spray bottle. The cleaner comes in a 4 oz bottle which needs to be diluted — two tablespoons into 8 oz of water. The product is completely natural and non-toxic, offering a safe, gentle way to clean all leather but suede. It has no discernible odor (okay, I have a cold, but it certainly isn’t unpleasant). The directions say to apply the tack cleaner and let it fully dry before applying the conditioner, then apply the conditioner and leave it overnight. As a test case, I’ve used the cleaner and conditioner on a saddle I bought this year. Like all of my saddles, this one is used and it came to me a bit dry — in that the leather squeak! I’m hoping that the conditioner will help moisturize the leather because other than that, the saddle looks great. Tune in tomorrow to see how well it worked. Is California Chrome a Turf Horse? I was approached by Leather Honey recently too. I did not follow directions (teachers are often the worst students) about putting it in a sprayer. I simply wiped on and off. It seems like a nice product. I like your idea of keeping it in a spray bottle and just having around. I should do that too since it’s sooooo dusty at my barn. That way I don’t have to look too rustic and Old West. I could just spray and wipe! Thank you! Have ideas for a post? Just want to get in touch? email me at lizgo@mindspring.com.